Here at Stonehaven Flowers we know that you want only the best for a wedding, which is why we offer a collection of wedding flowers designed by the famous Vera Wang. The modern selection is bold and dramatic, meaning that all of your wedding guests will be stunned by these fantastic flowers. 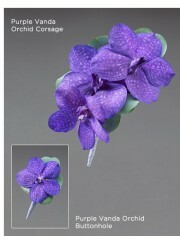 Amongst the selection are a collection of gorgeous bridal bouquets, corsages and boutonnieres. We also offer a selection of decorative flower arrangements, which will be perfect for any venue. A wedding is a hugely important occasion, which is why we treat your wedding flowers with a great deal of care and attention. The florists in Stonehaven have over 40 years of experience in the floristry industry, so your wedding flowers will be crafted with skill and expertise. We use only the freshest flowers at Stonehaven Flowers, so your wedding flowers will be of the highest standard and will stay vibrant and beautiful for a number of days, which ensures they will be as stunning as possible on your wedding day. Your wedding flowers are all about you, which is why the florists would be delighted to hear from you should you have any queries or special requests concerning your order. We also offer a bespoke flower arrangement service at Stonehaven florists, so that your wedding flowers can be a truly unique and original creation that no one will forget. The dedicated team at Flowers Stonehaven will carefully oversee your wedding flower order until your gorgeous flowers have been safely delivered to you and you are satisfied. We value clear communication with all of our customers, so do not hesitate to contact us with any feedback or questions concerning the service we provide. 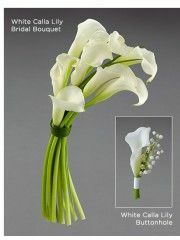 Purchase your Vera Wang wedding flowers from Stonehaven Flowers. 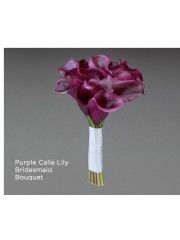 The Vera Wang Modern wedding flower collection combines simplicity and bold colours for a truly magnificent end result. The florists in Stonehaven will endeavour to make sure that your wedding flowers are just as you want them, as after all it is your special day. The wonderful service which Flowers Stonehaven provides includes a flower delivery service. This flower delivery service operates in Stonehaven and the local area, and you can count on us to deliver your wedding flowers promptly and safely to you. The flower delivery service runs six days a week, from Monday to Saturday, which means that you can easily specify a day of the week with us when you would like your wedding flowers to be delivered. Time slots are also available, s your Vera Wang wedding flowers can either be delivered in the morning or the afternoon, so that they will arrive with you at a suitable time. For a wedding, the florists will help set up any table arrangements or decorative flowers at a local venue to ensure that they will wow all of your guests. As part of the Interflora brand, Flowers Stonehaven is also able to offer flower delivery services further afield, as your flowers ordered in Stonehaven can be delivered to a huge range of locations across the United Kingdom. Flower delivery aborad is also possible, as we are linked with international flower delivery services in 140 different countries across the world. 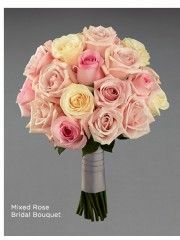 Wherever your wedding flowers are destined, you can count on Flowers Stonehaven to deliver them safely for you. 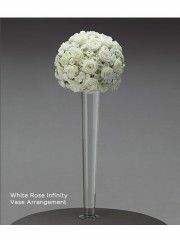 Choose Stonehaven Flowers today for a magnificent wedding flower arrangement designed by Vera Wang. 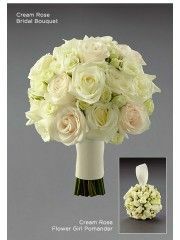 Weddings are all about romance and true love, which is why the magical romantic wedding flower collection designed by Vera Wang is a wonderful choice from Stonehaven Flowers. By purchasing from this collection you will ensure that there will be a graceful touch of delicacy and elegance to your wedding. The glorious wedding flowers available from Flowers Stonehaven are too good to miss out on! The florists at Stonehaven prioritise your wedding flower order, as we recognise it is of the utmost importance. We know that for a wedding our customers want only the best, which is why we have provided a designer wedding flower collection for you to choose from. The florists in Stonehaven have over 40 years of experience in the floristry industry, so your wedding flowers will be crafted with skill and expertise which is difficult to find elsewhere. Stonehaven florists order fresh flowers daily, so your wedding flowers will stay beautiful and vibrant for a number of days after they have been delivered to you. The florists would be delighted to hear from you should you have any requests or queries which you would like to register with us, as we value clear communication with all of our customers. Should you have any difficulties finding what you are looking for, please feel free to consult the bespoke flower arrangement service which Flowers Stonehaven provides. 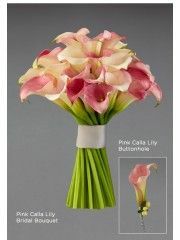 This way you can ensure that you will have truly unique and original wedding flowers for your delight. The dedicated team at Stonehaven Flowers will carefully oversee your order throughout its journey with us, which will ensure that your Vera Wang wedding flowers will be safely delivered to you or the wedding venue. 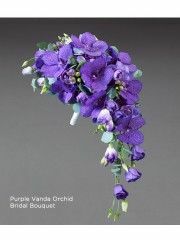 Amongst the range of Vera Wang wedding flowers on offer, there are various bridal bouquets, corsages and button holes available, so the florists in Stonehaven are confident that we can cater to all of your wedding flower needs. 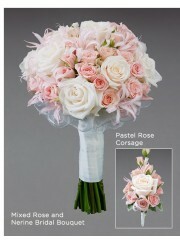 Choose our services today for Vera Wang romantic wedding flowers. The florists in Stonehaven work exceptionally hard to make wedding flower arrangements of the highest standard, and the Vera Wang wedding collection is no different. The famous designer Vera Wang has created this romantic wedding flower collection so that your flowers can create an intimate atmosphere of true love on the big day. Stonehaven florists provide a wonderful flower delivery service in Stonehaven and the local area, ensuring that your wedding flowers will be safely delivere to you or the wedding venue. It is easy to specify a delivery time and date to suit you by contacting our friendly team, as we customise our flower delivery services around all of our customers. The flower delivery service operates six days a week, from Monday to Saturday, so your wedding flowers can be delivered to you on a day that is suitable. 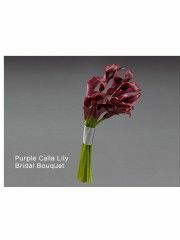 There are also two time slots to choose from, either morning or afternoon, for your flower delivery. Flowers Stonehaven is part of the Interflora brand, which means that we can offer flower delivery services further afield for you. We can deliver your Vera Wang wedding flowers to a huge range of locations across the United Kingdom, so if your wedding is taking place at a location outside the North East, you can still order your flowers here in Stonehaven. Flower delivery abroad is also possible, as we are linked with international flower delivery services in 140 different countries across the world. 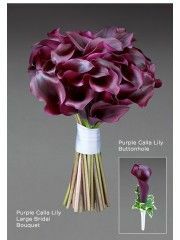 Stonehaven Flowers can deliver your romantic Vera Wang wedding flowers wherever you desire today. Here at Stonehaven Flowers we know that often tradition can be the best, which is why we are delighted to offer a glorious traditional wedding flower collection designed by the incredible Vera Wang. This collection combines simplicity and beauty to make a wonderful range of wedding flower arrangements for you to choose from. There is a variety of bridal bouquets, corsages, boutonnieres and decorative wedding flower arrangements for you to choose from. The florists in Stonehaven want to be able to cater for all of your wedding flower needs, which is why we take great pride in our wedding flower selection available for you. We recognise that for a wedding only the best will do, which is why we offer a range of luxurious wedding flowers from an exclusive designer, to ensure that the wedding flowers you order from us will be truly memorable. The florists in Stonehaven have over 40 years of experience in the floristry industry, which ensures that your wedding flowers will be crafted with a skill and expertise that is difficult to find elsewhere. We only use the freshest, high quality flowers available for all of our arrangements, and our wedding flowers are no exception. Shouls you have any queries or requests concerning your wedding flower order, do not hesitate to get in touch with the florists in Stonehaven, as they would be delighted to help you in any way possible. The dedicated team at Flowers Stonehaven will carefully oversee your order until it has been safely delivered to you and you are satisfied. 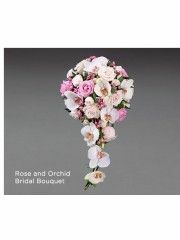 After all, they are your wedding flowers, which is why we believe that you should be delighted with what you have ordered from us. 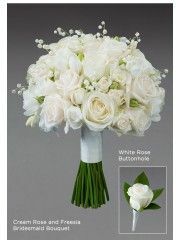 Choose Stonehaven Flowers to provide you with gorgeous traditional wedding flowers designed by Vera Wang. 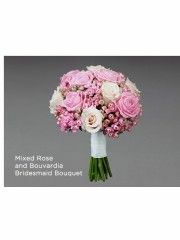 There is no need to think twice about ordering fantastic wedding flowers from the florists in Stonehaven. We provide excellent customer service, we work hard to accommodate all of your needs, and finally we offer exclusive wedding flower arrangements from Vera Wang. The gorgeous wedding flowers you order from us will be of the highest standard, and we are always delighted to hear any feedback that you might have. For local weddings, Stonehaven florists are also able to help set up any flower arrangements at the wedding venue for you. Flowers Stonehaven operate an excellent flower delivery service, which we can tailor to suit all of your needs. The flower delivery service operating in Stonehaven and the local area runs six days a week, from Monday to Saturday. It is simple to specify a day on which you would like for your wedding flowers to be delivered, and you can also choose a time slot, either morning or afternoon, for your delivery to arrive. Do not hesitate to get in touch with the team at Stonehaven florists if there is anything else we can do for you. Stonehaven Flowers are also proud to be part of the Interflora brand, which means that we are able to offer flower delivery services further afield if you require. Flower delivery to a huge range of locations across the United Kingdom is possible, as well as abroad. We are linked with international flower delivery services in 140 different countries across the world. Whatever you might be looking for, Stonehaven Flowers can help, so do not hesitate to order your Vera Wang traditional wedding flowers from us today. Vera Wang has designed a beautiful and elegant wedding collection which could be perfect for you if you like contemporary flowers. Stonehaven florist can use the inspiration from Vera Wang’s collection, using the same flowers and arranged by an expert florist. Since your wedding is such an important day and we want your flowers to be perfect, there is plenty of room to tailor Vera Wang’s collection to your requirements. Should you wish for further information we recommend a consultation with our wedding flower expert, where you can discuss what you would like on a one to one basis. Stonehaven florist will deliver your flowers directly to you on the big day so it’s one less thing to worry about. If you would like more information or to book a consultation at Stonehaven flowers you can call or email us and we would only be happy to help.